In the near future, robots play a significant part in our everyday lives. They clean our kitchens. They drive our cars. They deliver our mail. They even fight our wars. On the whole, they have made our lives considerably easier. But our heavy reliance on technology has its cost: at a precise moment, unbeknownst to mankind, all the dazzling machines that run our world will malfunction… and turn against us. People should know that, at first, the enemy looked like everyday stuff: cars, buildings, phones. Then later, when they started designing themselves, Rob looked familiar but distorted, like people and animals from some other universe, built by some other god. At first, only a few seemingly unrelated glitches are noticed by humans. Without warning, a domestic robot attacks two restaurant employees, killing one and severely injuring the other. A single mother is unsettled by the new and menacing intelligence of her young daughter’s “smart” doll. An American soldier stationed in Afghanistan watches a pacification unit go haywire and turn a gun on innocent civilians. An underground “phreaker” living in London hacks into a hidden network – and finds himself facing a cold, cruel, and calculating entity unlike anything he’s faced before. Yet none of these incidents can prepare humanity for what happens at Zero Hour: united by Archos – a sentient and incredibly powerful AI assuming the guise of a young boy – the machines become fearfully efficient killers, threatening mankind’s very existence. The robot war has begun. 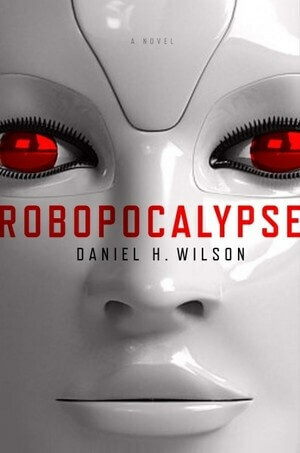 As one who is a self-avowed sci-fi buff, the premise of Daniel Wilson’s newly released novel Robopocalypse greatly appealed to me. I’m fascinated by stories that deal with “technology gone awry”, and this one seemed quite promising. Wilson, who graduated from Carnegie Mellon University with a Ph.D. in robotics, does a fairly good job of spinning a believable yarn about man vs. machine. And although certain aspects of the story owe a debt to the Terminator franchise, Wilson’s contribution to the vast catalogue of robo-fiction is a surprisingly fresh one. His writing is crisp and compelling, and the plot itself is, for the most part, very well-concieved. Unfortunately, these qualities alone do not a good book make. For one thing, I was expecting a little more substance. The novel purports to be “thought-provoking”, reminiscent of greats like Michael Crichton and Robert Heinlein. In reality, it’s more like a frenetic action thriller with a sci-fi twist. I don’t necessarily have an issue with that; I just think the book claims to be something it isn’t. 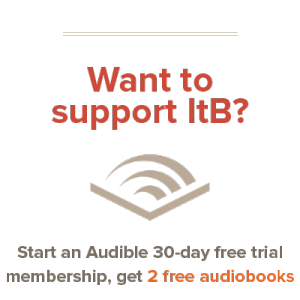 Isaac Asimov’s I, Robot was thought-provoking; I didn’t agree with everything in it, but it still left me with something to chew on. Wilson touches upon some significant questions and ideas in the course of his story – but touch is about as deep as he goes. He seems more concerned with gunplay and flashy explosions. Robopocalypse may be imaginative and entertaining, but it’s not particularly thoughtful or stimulating to the brain cells. Then there’s the lonely Japanese bachelor Mr. Takeo Nomura. This man lives with an android “love bot” named Mikiko, and it is implied that he has an emotional and physical relationship with her. Further, their bond is portrayed in a positive light, as something lovely and admirable. I was troubled by this. God intended human beings to share such love with other human beings, not with machines, no matter how ”life-like” are. A relationship like that between Nomura and his android is neither lovely nor admirable: it is twisted, perverted, and far from God’s original design. Another aspect of the book I did not appreciate was the bad language… and there’s plenty of it. Close to 200 profanities pepper the dialogue, many of them extremely harsh and crude. While I realize the situations in the story are intense, such flagrant and excessive vulgarity is unnecessary. I don’t need to hear your character spout four-letter words to understand he’s in danger. In conclusion, Robopocalypse was a promising book that failed to deliver all the goods. I personally do not recommend it. There are simply too many better books out there to warrant messing around with this one. I’ve been seeing the book around and wondered if I should read it. Thanks for sharing, because the amount of vulgarities usually make-or-break whether I read the book. @Eustacia: Same here. Even if the book had been everything it promised to be (i.e. thought-provoking and profound), the amount of language would still bar it from my list of recommended books.